Student Organization Book Display: SGA! 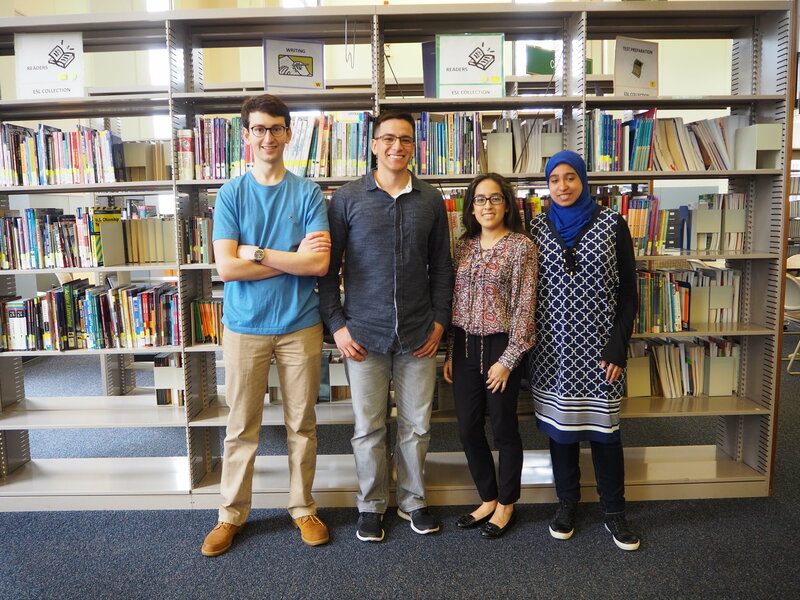 This semester, the Annandale Campus Library is working with student organizations to create book displays, showcasing topics relevant to our own campus community. Last month, Dreamers Empowered offered book recommendations on issues surrounding undocumented immigrants. This month’s display comes from the Annandale Student Government Association! To check out more recommendations, come visit the SGA’s book display in the Annandale Library, CG 3rd floor! To create your own book display, please contact hdarnell@nvcc.edu. National Library Week: Faculty Podcast! Hello everyone! Thanks for sticking with us for National Libray Week! As you might recall from Monday’s post, we are celebrating with a podcast a day from Shirley Nuhn’s English as a Second Language class. Our last podcast comes from Professor Nuhn herself. Happy listening! “Libraries! I don’t know why, but for some reason, every time I’ve been been at one, I feel extremely nostalgic. Maybe it’s because they have classic ancient styles and historical books from long ago ages. If you want to have a silent place to read, to study, or even to take a deep break (because why not? ), you nailed it. It is definitely the library! A library in people’s view may have a astronomical number of books, books, and books. And they’re right! But those books are invaluable. They record the milestones of millions of people who have been taken by war and other factors. It’s just like when people realize that their lives have nearly run out of time. But they want to keep something lasting about themselves. They write books that one day could be at the public library. And of course, everyone will know and they could learn or put it down to experience. “Hi, my name is Nael Lozano, and I’m taking ESL 51: advanced composition. In my opinion, the library is a place where we can get books from medicine to biographies to novels. Furthermore, libraries provide information about rec centers to computer classes and more. Nowadays, books are expensive, and libraries like the one at NOVA provide us with some books to borrow and used books to buy at affordable prices. Therefore, every time I go to the library, I like to read, research for information, and study. Hello everyone, and happy National Library Week! We are excited to announce that Shirley Nuhn’s English as a Second Language class is back to remind us of the importance of libraries. Students Jun Choi, Nael Lozano, and Nhi Pham dropped by the Faculty and Staff Resource Center to record podcasts on what libraries mean to them. We will publish their recordings daily, so stay tuned!